"Data Types" are the type of data that you send in your API request. If you add some Field Options, then the value must be one of those options. A select list will be displayed on online forms. 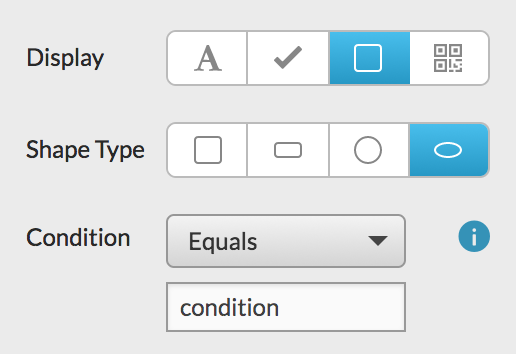 When a String field is displayed as a Check or Shape, you can define a Condition. The field will only be displayed when the value matches the condition. The condition predicate can be one of: Equals, Contains, Starts With, Ends With, or Regex. 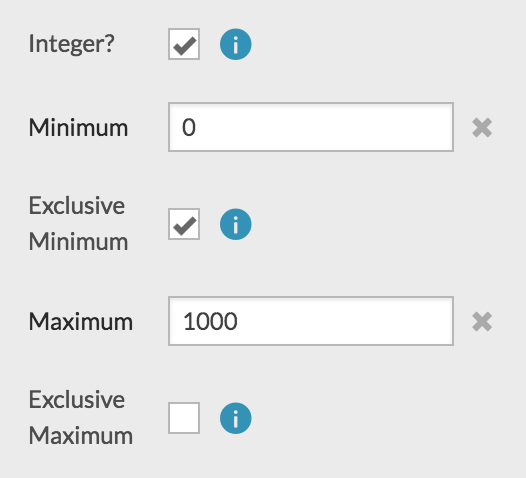 In the following example, the value must be an integer. The value must be greater than 0, and less than or equal to 1000. A Number field can be a formula that performs a calculation. Formulas can reference other Number fields. View the Formula documentation for more information about formula syntax, operators, and functions. When a Number field is displayed as a Check or Shape, you can define a Condition. The field will only be displayed when the value matches the condition. The condition predicate can be one of: Equals, Greater or Equal, Greater, Less or Equal, Less, or In Range. A Boolean value must be either true or false. 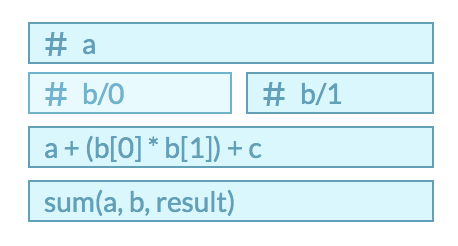 When a Boolean field is displayed as Text, the text will be either "Yes" or "No". 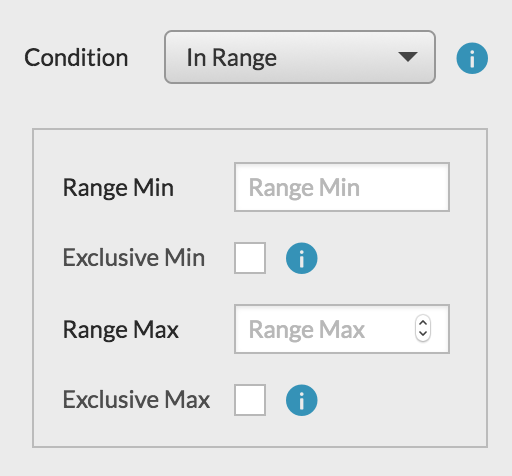 These strings can be configured for each field. You can also set default values in the template settings. When a Boolean field is displayed as a Check or Shape, the field will only be displayed when the value is true. Date values must be a string formatted as: YYYY-MM-DD. When Include Time is checked, the value must be a timestamp formatted as: YYYY-MM-DDThh:mm:ss.fffZ. 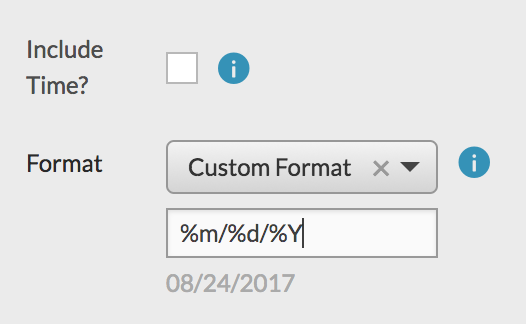 A Date field can be formatted using a format string. FormAPI supports the strftime format directives from the Ruby programming language. The Address type can be used to show a text input that autocompletes an address. Address autocompletion is powered by Google Maps. The address is currently formatted as a single string. 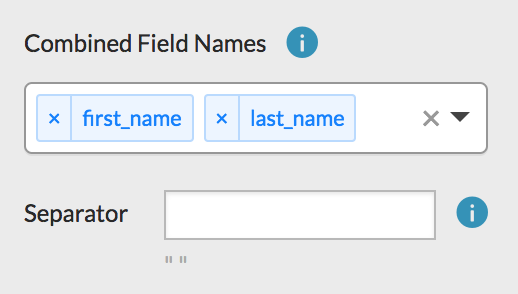 We are working to improve this so that you can render the address parts as separate fields. The Country type can be used to show a dropdown list of countries in the online form. Otherwise, it is just a String field that can accept any value. An Email value must be a valid email address. A URL value must be a valid URL. An Image value can be a Base64 encoded image, or a URL where the image can be downloaded. See the Image Display Type section for information about resizing and cropping images. The online form will submit the signature as a Base64 encoded image. When you are generating a PDF via an API request, the Signature type is a subset of the Image type: You can submit a Base64 encoded image (base64), or a URL where the image can be downloaded (url). name must be the user&apos;s full name. A Barcode data type ensures that you submit a valid barcode. The value can be rendered as a barcode image or as a string. Please contact [email protected] if you need a different symbology. Combined fields allow you to combine multiple field values into a single string.